Is it better to sell or rent out a house with no mortgage to buy another? Is it better to sell my current house with no mortgage, or rent my house and take a mortgage? Making that last house payment to pay off your mortgage is a great feeling. If you’ve done it correctly, you now have an asset worth several hundred dollars, as well as a couple extra thousand in your monthly budget. Some homeowners choose to live in their paid-off homes, while others are faced with the option of selling their current house with no mortgage, and pay for the next house, or to rent their current house and take out a mortgage for the new home? The answer, unfortunately, isn’t straightforward. “It Depends” is the fast answer, but let’s explore the question to determine what options are best for each individual homeowner. The graph above is from Google Trends which shows us the fluctuation between keyword searches for homes for rent vs. homes for sale You can click through to the tool and change it to your location to see how your market compares. For example, in Nevada, we have seen a rise on searches for rental homes, as inventory for first time home buyers and the average 3 bedroom single family homes are limited. Many single property landlords actually use the rent income from the investment property to pay the mortgage on their personal home. Depending on your real estate market, and the home’s location, you may even be able to make a little extra money on top of the rent payments. Having two houses for essentially nothing is very enticing – all you as the owner would pay are the closing costs and down payment. However, selling the house outright may actually be a loss if home values in your area are down, you may not realize the full asset potential of your old house. Some homeowners choose to rent the property out until home prices rise, then sell the property. When you rent out a house, you become the landlord. There are some drawbacks, especially for homeowners who haven’t done this before. The old house will need periodic repairs and maintenance, which, if you aren’t very handy, will necessitate hiring a handyman or service pro to take care of. Additionally, you’d have the responsibility of finding, vetting, and collecting rent from tenants which may be a cumbersome process, or time-consuming. After all, if the house sits open, you aren’t making any money. And a bad tenant costs exponentially more than that to the homeowner. You can hire a property management company, which will take care of most of those responsibilities, but they do charge a monthly fee, so keep that in mind while looking at your finances. Prices increased 5.8% nationally in 2016, compared with 4% in 2015, according to reports. First, you’ll want an appraisal of the house, if you haven’t gotten one recently. This will give you the value of your house. typically, landlords can charge 0.8% to 1.1% of the home’s value. After you’ve come up with a ballpark number, see what other houses similar to yours in that market are renting for (these are called “comps”). You can do this yourself using a website or app called Trulia or Zillow, although contacting a real estate agent is advised. Checking out a couple of these is a good idea – you can determine where your house falls in comparison to others – is it close to a school? Is it on a cul-de-sac, or are there other uniquely attractive features that renters will pay more to have? Take the estimated rent, and multiply by 11 (not 12 – there may be times that the home sits empty).That is your gross rental income. Then subtract HOA (Home Owners Association) dues (landlords pay those), insurance, and property tax, as well as a bit for repairs and maintenance. If you plan to use a property management company, then subtract out their monthly fees, as well. This final amount is what you’ll realize each month from that property. If you sell your old home, you’ll be able to buy a new home mostly for cash. Plus, if you have lived in the old house for at least two of the past five years, you won’t pay any taxes, either. This is a very attractive option, especially for people who may be “downsizing” and don’t want the hassles of taking care of the maintenance for two homes (theirs and the rental). 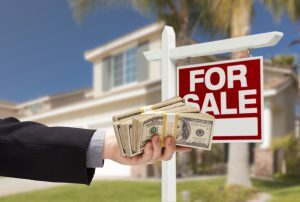 If you’ve sold off a home that’s paid for, you will have a substantial amount of money in the bank. There are considerations to using that full amount to buy a new home, as well as just using part. 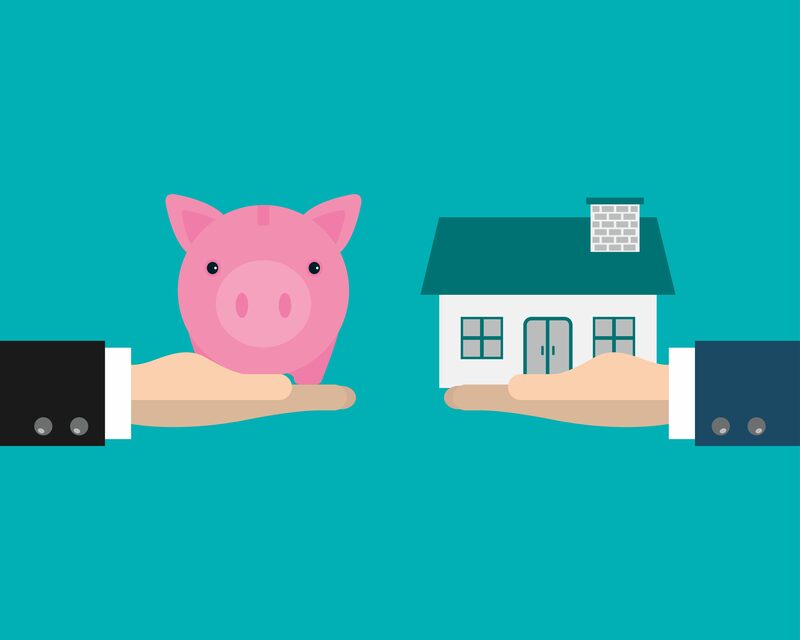 Depending on mortgage rates (right now, they’re pretty low), it may be a smarter choice to keep the money from the sale of the house, and just take out a new mortgage on the new home. Another option is to sell the old house, use the minimum amount of money needed to secure the new house (down payments, closing costs, and maybe a bit extra down to bring down your monthly payment), and take out a mortgage for the balance. You would then have a substantial amount of money left to invest. Or, you can travel, or whatever you need. That money is yours, free and clear. Many people enjoy the freedom of knowing that they have an asset in real estate (the house) as well as a large amount to invest (the profit you didn’t use toward the new house). In this economy, diversifying your investments is smart. You can also enjoy having a bit of depreciation in the rental home, which is nice come tax time. This is just passive income into your pocket. Your home is also increasing in value, so your assent increases year over year just by owning it, while you just collect the rent money. Over time, your return on investment actually increases, and you’ll end up with more money to invest. Whatever decision you make for your assent, do your homework first. 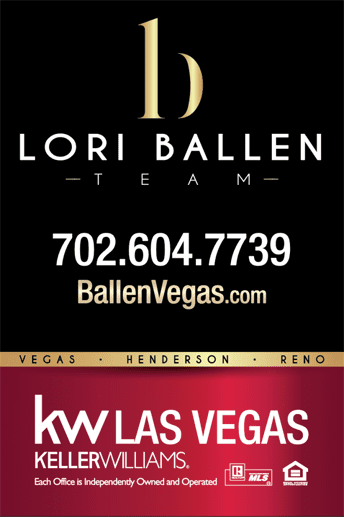 If you aren’t very experienced in these areas, consult with a real estate agent like Lori Ballen Team at Keller Williams in Las Vegas. You can also hire a financial planner, to help you determine what part of your house sale to invest. Finally, a consultation with a property management company can help you decide whether to rent out the house or simply sell it. Some homeowners choose to live in their paid-off homes, while others decide between selling or renting out their current house, with no mortgage.